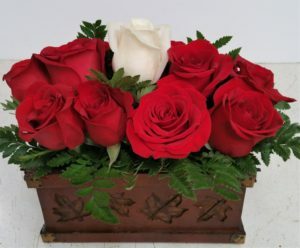 Designed by special request, Uptown Roses is a modern display of red roses in a wood or wooden-style box. 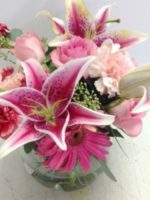 WE HAVE SOLD OUT OF THIS BOX, BUT WE CAN DESIGN A SIMILAR ARRANGEMENT FOR YOU IN A DIFFERENT CONTAINER. 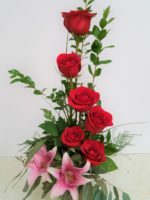 Designed by special request, Uptown Roses is a modern display of red roses in a wood or wooden-style box. 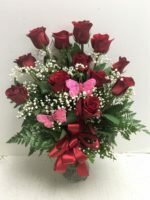 Appropriate for a young lady (Sweet 16) or a young-at-heart, Uptown Roses is perfect on a desk or table. 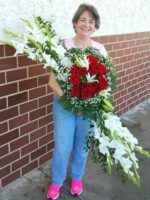 Shown with 13 beautiful red roses and one white rose, the Uptown Roses can be designed with 6, 12, 16, 18 or 24 roses. 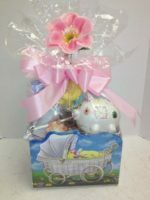 For orders other than 13, please call us at 602-246-1271 and we’ll give you the price. 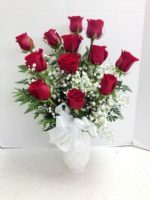 You might prefer white roses in a red vase or colorful fun with roses. 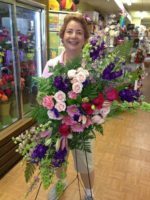 When you order from Roadrunner Florist, you are supporting a local Phoenix flower shop! We appreciate you! 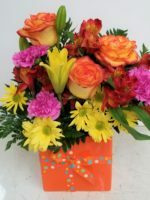 WE HAVE SOLD OUT OF THIS BOX, BUT WE CAN DESIGN A SIMILAR ARRANGEMENT FOR YOU IN A DIFFERENT CONTAINER.